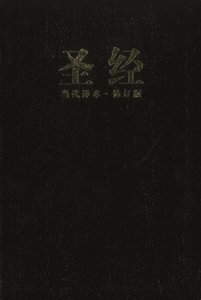 About "Ccb Chinese Contemporary Bible Large Print (Black Letter Edition)"
:This genuine leather-bound Chinese Contemporary Bible (CCB translation) is handy sized and perfect to take with you on the go. Larger easy-to-read 10 point Bible text on quality Bible paper. The additional helps in the back make this Bible perfect for outreach. Ribbon marker included. Available in black or burgundy. * 5 1/2" x 7 3/4" x 1"